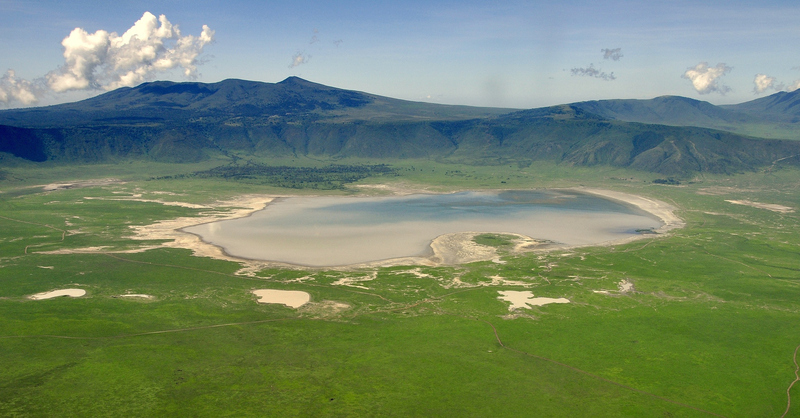 Lake Magadi is a soda lake at the southern end of the Kenyan section of the Great Rift Valley. Known as a saline pan, the lake is fed by saline hot springs of about 85°C that heat its waters to around 45°C. This lovely lake gleams white with salt, and is tinged pink with flocks of flamingos. The lake attracts water birds and wading birds. Only one species of fish inhabits the hot, saline, alkaline water, however, the remains of many species of fish in volcanic sediments around the lake suggest that the lake wasn’t always so saline, and that it was once linked to Lake Natron in the north of Tanzania. The Olkirimatian Conservancy and Shompole Conservancy together form an elephant migratory corridor between the Maasai Mara National Reserve and Amboseli National Park. This protected area is home to good populations of lions and leopards, as well as wildebeest, buffalo, zebra, giraffe, eland and gerenuk. Activities in the area are wide and varied. Day and night game drives are on offer, as well as game walks, bird watching and community visits. For the more energetic, canoeing and fishing on the Ewaso Ngiro River are available and for the conservation minded, spending a day with the research groups studying baboons and predators makes a rewarding outing.